Beveled and faceted edges give this clear optic crystal a dramatic look. Mounted to a black crystal base, this elegant design can be personalized to recognize and honor excellence in achievement. 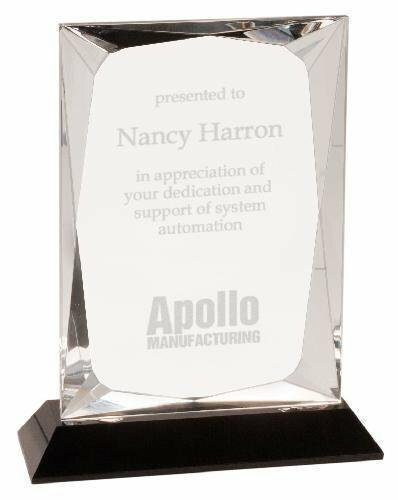 Includes up to 50 words (or logo plus 30 words) laser engraved onto face of award. This item comes in two heights, 7" and 8" and is packaged in a velvet-lined gift box.